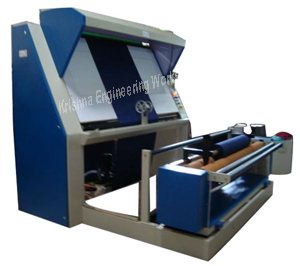 High Efficiency Inspection Machine Batching Machine manufacturer used for inspection of fabric material, with high quality equipment for guiding the web to reduce the wastage of the material & to get high production output with minimum man power. Also, we are manufacturer of Stenter Clip for the widest textile industries. Inspection table with pressure roll device. Two roll surface polling machine with pneumatic pressing device.